It’s time to start talking about Rice Dice, and what better place to start than the dice! 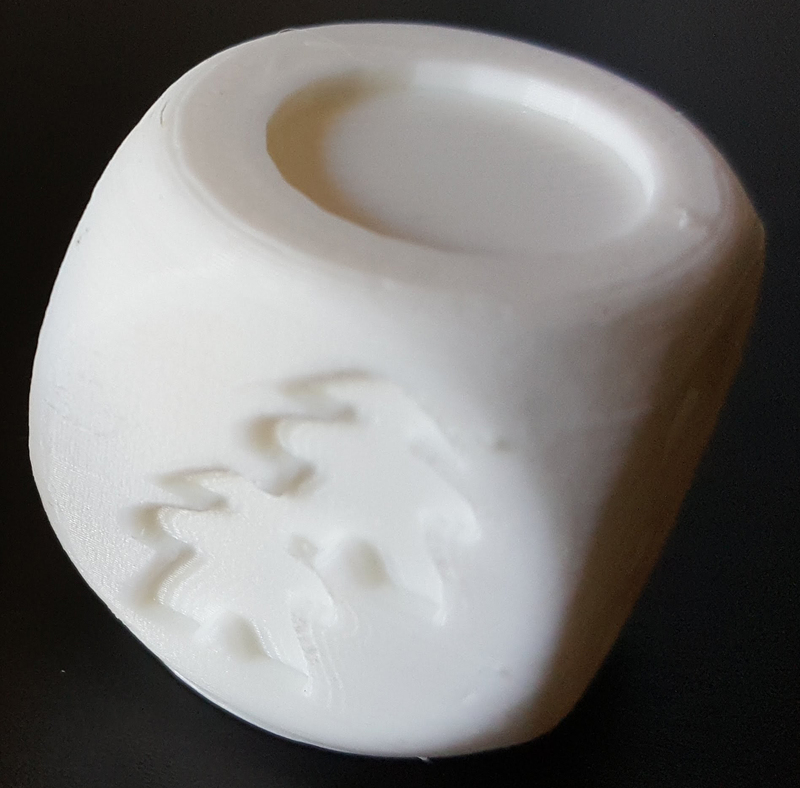 These six-sided 16mm resin beauties will have unique symbols etched into each side. Five identical dice come in each copy of Rice Dice. Players roll the dice at the start of their turn and decide on an action, which is influenced by the roll. Most actions provide the player resources equal to the number of that symbol rolled. For instance, rolling three water symbols allows you to add three water from the main reservoir to your paddies if you choose to take the water action. There’ll be more details on the different actions in a future post, but if you’d like to skip ahead, the (unformatted) rules are right here.